Cheap Car Hire for Rethymno in Crete - Compare Prices & Book Lower Cost SUV, MPV & Minivan Rental in Rethymno. Compare our Rethymno car hire suppliers discounted rates. Free cancellation, usually upto 48 hours before collection, and no amendment fees, but subject to any change in vehicle rate, length of rental. Over six hundred thousand people live on this Mediterranean island, that offers everything from beaches to tall mountains. Crete is one of the thirteen unique regions of Greece. Famed as the biggest island in Greece, it is just smaller than Cyprus. 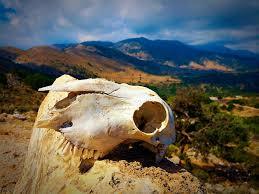 Crete has a drawn out oblong shape, and stretches 60Km from east to west as the crow flies. So jump in your rental car, and see the island, as some parts are only 12Km wide. Looking to the north, you will find that Crete borders with the Sea of Crete and the Libyan Sea to its south. 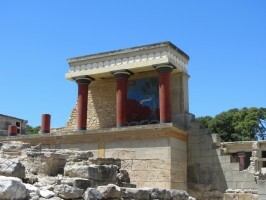 You can get more information on Crete, courtesy of Greek Tourism Board. Rethymno hosts the biggest festival in Crete over three weeks during February and March.Heraklion Airport is the main entry point into Crete, which is serviced in the main by charter flights. However Olympic Airways and Agean Air, offer daily flights. Crete is one of Europe's best islands for driving a hire car. This is due to the moderate, all year round climate, and a beautiful changing countryside. This was the original capital of Crete and now is the second largest city. Chania, and the surrounding regions, exude Cretan charm and is a perfect destination for a family holiday, that will not be forgotten. 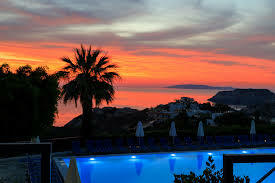 Please note we can arrange to have your Crete hire car delivered to your hotel or resort. Please ask if you are staying in any of the following Crete resorts:- Herkalion, Hersonissos, Rethymnon, Aghios Nikolaos, Chania Port, Hersonissos and Leraptera. This service is normally free but does depend on distance. We also offer car hire at these Crete locations:- Agia Pelagia, Agios Nikolaos, Chersonissos, Ierapetra, Plakias, Platanias, Rethymno and Suda Port.